Hey! In April last year, I got a Lucky Dip Pack from Puss and Pooch and in that package was the Furchun Cookie. At the time, Diego had a bunch of other toys so this one got pushed to the side and somewhat forgotten. Until recently. 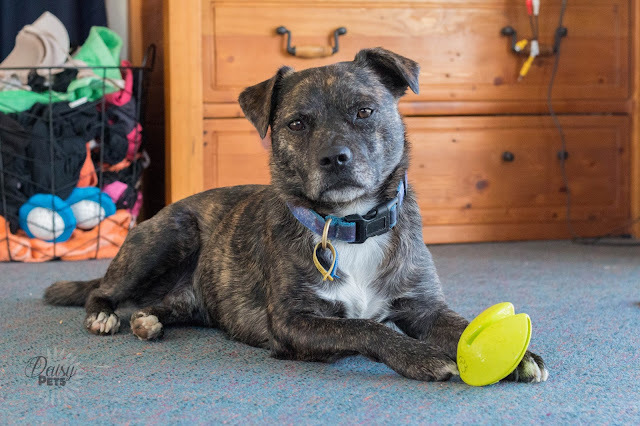 For the past couple of months, this toy has been used nearly daily so I decided to share our thoughts on it. The Furchun Cookie is a 100% rubber dog toy, made in the shape of a Fortune Cookie. It has a slit opening the whole way around the cookie, that when squished opens up wider. This means it is perfect for stuffing with treats to make a boredom breaker. It is also light-weight, durable and comes in a range of bright colours and two sizes, small or large. We got ours in green, and I believe the large size. 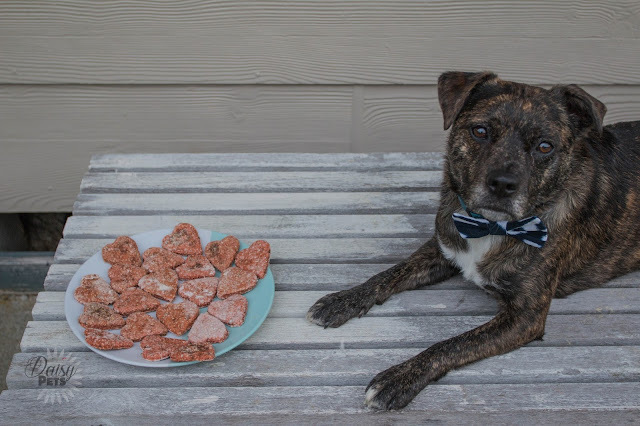 Gosh, Valentine's Day crept up on us fast, but I am here to bring you a simple recipe to make for your pooches this holiday. I got the original recipe from The Ultimate Dog Treat Cookbook and then modified the recipe to suit what I had available, and to make it more Valentine's themed. 2. Put the dog food kibble into a food processor or blender and grind until a course flour. 3. Use a food processor or blender to puree the grated carrots and beetroot. 4. Add the applesauce and milk to the food processor or blender and puree again. 5. Spoon the pureed mixture into a large bowl. Add the flour, ground dog food kibble and baking powder. Mix until a dough forms, and then knead with your hands until mixed well. If the dough is too sticky, add more flour.